Was the interim budget populist? Did it cater to all sections of society? What did it get right and what did it miss? Read on to find out what leaders and experts have to say. The interim budget announced earlier today tried to appease as many sections of the society as possible. While the jury is still out on whether it will be able to balance fiscal prudence with visionary policies, the first reaction has largely been positive. Here’s what industry leaders and experts have to say about the announcements made in the budget. A progressive budget! Taking into account the issues being faced by small enterprises and addressing these, will definitely have a positive impact on the startups, thereby leading to more jobs for youth. The restriction of GST at upto 5% for daily use items is a relief for consumers at large and shall help in increasing revenues and sales for retail businesses. 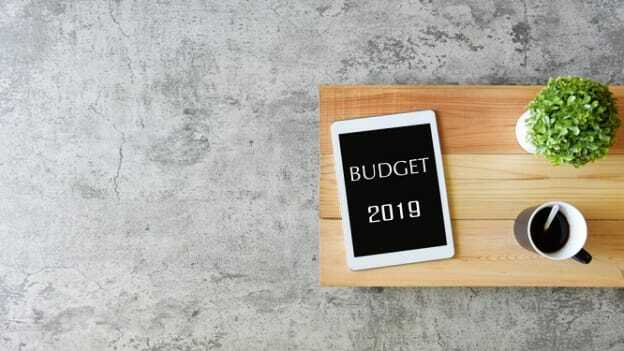 The 2019 budget has touched upon critical areas such as enhancing tax exemption for salaried employees and digitizing the entire tax filing process. The decision to carry all tax verifications via an anonymous digital interface and processing all tax returns within 24 hours displays the Government’s strong intention to build a digital nation, whilst putting convenience in the hands of its citizens and ensuring complete transparency. Finally, the increase in the standard deduction for salaried citizens from INR 40, 000 to INR 50, 000 is an encouraging move as more than 3 crore middle-class taxpayers will now get the tax benefit of almost 4700 cr. In addition to this, the Government of India has also exempted tax for employees earning an annual income of up to INR 5 lakh which is a welcome move as it gives more liquidity to the taxpaying citizens of the country. Where the budget scores low though is in addressing job creation, key to sustained growth of the economy. What we really need is a systemic solution and structural reforms to job creation. However, other schemes such as GST exemption and ease of compliance for MSMEs which is likely to benefit more than 35 lac small traders, manufacturers as well as 2% interest subvention on MSME loans are good and in the right direction. It has to be noted that a report by the National Sample Survey Office’s periodic labour force survey released just yesterday revealed that India’s unemployment rate hit a 45 year high of 6.1% in 2017-18. Unemployment rate among youth reached a record high level in 2017-18 as compared to the previous year. In this context, it would have been good to see the budget addressing increase in employment rates. Despite being an election year, it's good to see Government allocating money where its required - farmers, middle-class families, pension scheme for unorganized sector, more allocation to health, education and defense. Despite missing out on Fiscal deficit target for current as well as next fiscal, the FM took rating agency and investors in to confidence by explaining the need for supporting farmers which was well received as seen by the market reaction. With GDP growth being upgraded, 0.1% to 0.2% slip of Fiscal deficit should be manageable. Good to see FM recognizing and rewarding honest tax-paying middle-class citizens with tax exemption up to 5L salary along with higher TDS. Overall good interim budget sending the right signals. The interim budget is a tough balancing act with the Government, appealing to its key constituencies - farmers, the middle class and SMEs, while trying to stay true to its reformist credentials. The budget set the context around how this Government went about implementing change in a structural and not incremental manner - a report card that ended with a vision for India in 2030. The implementation of GST, the IBC, Make in India, Skill India, Startup India, Digital India, the focus on infrastructure, the thrust on renewable energy, the reforms that have helped the country leap 53 positions in the ease of doing business rankings have all played a role in India emerging as a transparent, formal and more vibrant economy. While the budget was low on specifics for how industry could help spur job creation, the focus on offering assistance to marginal farmers and the relaxation of income taxes for those making up to 5 Lacs per year will definitely add impetus to the consumption-led economic growth narrative. Consumer-oriented industries will benefit from these moves as this should increase the amount of disposable income available for a vast majority of the nation's population. The implementation of the universal pension scheme alongside the universal health care initiative and the universal insurance scheme makes for a strong social safety net. That India is also home to the second largest number of startups is testament to the entrepreneurial spirit that the administration has tried to foster. While the Government did indicate that the fiscal deficit target would slip to 3.4% from 3.3% as previously stated, it has resisted the urge and stayed off the populist track. “... Considering our country’s diversity and the presence of a scheme in form of NPS Lite for unorganised sector, the new scheme that assures a pension to this sector is welcome to give impetus to the long term measures of enhancing the adequacy of the pension system in the country. This is especially so since we do not have a strong social security pension system. One needs to see the details on the design of the program and the implementation mechanism. It's a budget with many sections of the society being the beneficiaries. It is specially a poor and middle-class centric budget as it increases the money in these households. This can trigger consumption and lead to further growth. Phasing out human intervention in tax returns, verification and scrutiny is a good initiative which can help reduce corruption. Overall, it is a good budget. Whilst the Indian Staffing Federation had several expectations from this year’s budget - we did not see specific actions that would improve ease of doing business, employability and formal employment – our asks around UEN, Paperless, Presenceless, Cashless initiatives for Shram Suvidha Portal, reduction of financial burden on the employers who now have to pay for 26 weeks of maternity benefits, employees having the choice and flexibility on salary and reduction of GST on outsourced services for higher education – have not been addressed. Having said this, what is heartening is to see the government take a long-term view of growth and outline its vision for 2030, vide its 10 developmental themes. We also think the government’s focus on simplifying GST and tax administration, investment commitment for improving rural economy, internal trade, infrastructure and the MSME sector will be good for the Indian economy. This augurs well from an employment perspective – and we hope this helps in creation of more formal jobs – which is will not only aid the growth of staffing industry in India but also spur the overall economic progress. With the announcement of the National Artificial Intelligence portal, we expect India to be propelled on the path of leveraging advanced and disruptive technologies for economic prosperity and growth. We congratulate the government for this forward-looking budget. The government has been banking on digital technologies such as AI, machine learning, big data and more. Thus, in the interim budget, we had expected a significant boost by the government. We are glad to find out the government’s plans of developing a National Artificial Intelligence portal, which will significantly boost research and development measures in the field of Artificial Intelligence. The government has done a fantastic job of making the internet accessible to millions of Indians. Now it’s’ the job of Internet companies to localize their products and content so that the increased access to data can be satiated and utilized with an equal amount of content and user-friendly experience. The one thing that stood out in the Budget is the putting up of the Vision 2030. While there are no details available as yet in terms of the implementation of this vision the fact that the government is thinking long term is well appreciated. The focus on the Digitisation will go a long way in improving the social and economic fabric of the country - be it creation of jobs, uplifting the lower end of the society reducing the income gap and many more. The announcing of the 5 Lakh Digital Villages is really welcome. It will go a long way to leverage the benefits of technology right up to the grass root level. Especially in a country like India which has always been challenged from penetration of technology, this will be a big boost... Overall a pretty good budget! Including ‘Digital India’ amongst 10 dimensions for Vision 2030 reinforces the importance of technology in transforming India. Rural digitisation, once achieved, is expected to have fundamental positive impact in the way economy operates. Further, technological enablement of tax administration with measures as 24 hrs return processing, faceless e-assessments, etc will increase efficiency & transparency, and also help increase tax collections. Being a global entrepreneur highly invested in the technology industry, with a zeal for AI, it’s excellent to hear the announcement from Finance Minister Piyush Goyal that India will create a National Centre for AI. Considering the global market for AI is expected at around $190 billion by 2025, this puts Indian companies and organizations at the forefront of capturing the AI market... Additionally, the idea of transforming 1 lakh digital villages can have numerous benefits. This includes creating and managing the IT infrastructure to make digital villages possible, and increasing education around technology, thus having the potential to expand the workforce (to operate said global operations). Overall, the technology sector made gains today, which offers India a bright future of the efficient solutions that technology could bring to the country, continent and world. Shekhar Sanyal, Director and Country Head, Institution of Engineering and Technology, The interim budget 2019 with its focus on the futuristic technology-- Artificial Intelligence is heartening news. We are at the cusp of technological disruption, a national program with the portal on Artificial Intelligence will bring India on the global map and help build an ecosystem to fuel its ambition to become a world leader in AI in the coming years. We at The IET are particularly happy as we are aligned with the government’s focus on new technologies and will extend our full support through continuous efforts from The IET IoT Panel. In the manufacturing sector, a tax rate of 25% for new manufacturing units will give a great boost to capital investments and the thrust in the budget on real estate and housing sector and giving money in the hands of the people will boost all round consumption. After the budget I am even more bullish on the Indian economy. The interim budget has taken into account the mammoth need for healthcare services for a growing nation. I commend the government’s effort to make healthcare affordable and accessible till the last mile. Further, grants proposed for the small and medium enterprises are reassuring that the government is determined to encourage the startup ecosystem in the country. However, the budget was silent on critical issues being faced by the industry such as angel tax, incorporation of which would have helped the startup ecosystem at large. Compared to last year's budget, the significance given to the education sector is really not up to the sectoral expectation. However, the positive side of it is that the outlay for premier engineering institutions (IIT) has increased; Also the allocation for research and higher education has increased. Aspiration of leaders like NIE to rank high in the country and the world will take a longer period to realise. Overall, the Interim Budget is focused on people, progress & prosperity and that will lead to the rise of a #NewIndia by 2022. Being an election focused budget, there was no big announcement for the education sector which requires a long term focus. The reduction in the interest on education loans is a good move towards ensuring education for all. At the same time, the allocation for Higher Education Financing Agency (HEFA) has been reduced from Rs 2,750 crore last year to Rs 2,100 crore this year. More focused announcements around skilling and higher education for youth would have made the Budget more holistic. The Government mandates 26 weeks maternity leave with a 400Cr proposal from last year to reimburse employers for 7 of the 26 weeks of extended maternity leave. Amendments to the Maternity Act, 1961 is significant, but what about balancing paternity leave directives? Men should be incentivized to take longer periods of paternity leave as well. Paid paternity leave can have positive effects for gender equality at home and at work, disrupting prevailing stereotypes. The conversation needs to move to ‘Parental Leave’ policies. Equal time off should be given to both parents and called family-friendly policies. The Government needs to be committed to reducing the burden on working parents, particularly in the first 12 months, when it is difficult to secure quality childcare as seen in an online survey we conducted for women restarters, where 38% cited childcare as one of the biggest challenges to restarting their careers. The Government has to mandate ‘Parental Leave’ as opposed to just maternity leave to balance the scales which will definitely enable women to engage and remain in paid employment and progress in their careers. This is truly welcome step by the government towards focus on infrastructure. On the Railways end primary focus in safety is the need of the hour but also government should focus on solving one bigger problem of waitlist tickets. As per the Indian Railways annual Report, the passengers carried is almost constant from the last 2 years. So there needs to be a focus on the improving the infrastructure, add more new trains, Cut down trains on the routes where there is a low fill rate and introduce these trains in the demand routes. The budget has given focus to improving facilities and maintaining the existing trains, over announcing new trains. We were hoping to see some thrust on boosting the digital and payment infrastructure for sectors with big-ticket transactions like travel and a tax relief especially for indirect taxes (levied on the tourism and hospitality sector which is considerably higher than some of the major tourist destinations globally). For a market that expected a tax reduction basis promise in 2014 to bring it down to 25% in a phased manner, the corporate direct tax rates were left untouched which comes as a disappointment. We hope these in addition to the purview of GST in accommodation space and removal of TCS (Tax collection at source) in airlines industry are points that the government will bring to its consideration in the time to come. The union budget has a positive ring to it and lays down the roadmap for robust growth. 100th airport opening in India, number of flyers which has doubled in the last 5 years and 27 km of roadways being built everyday (the fastest in the world) have all meant that more and more people are travelling than ever before and thus the demand for quality accommodation which is on the rise.